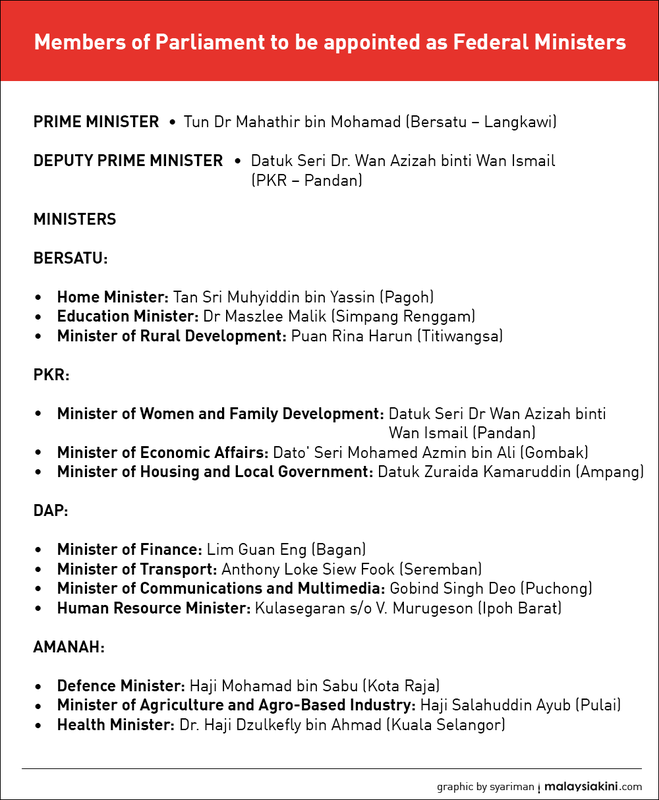 The Prime Minister's Office has announced the names of those to be sworn-in as ministers in Dr Mahathir Mohamad's initial cabinet. 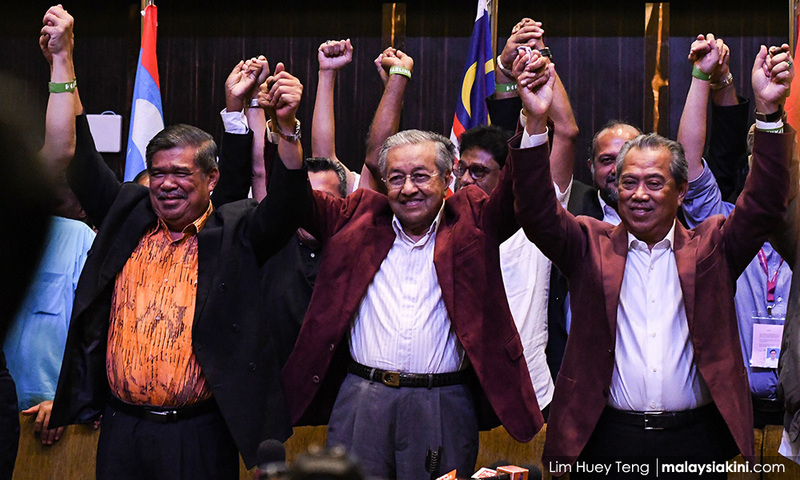 The list was released after obtaining the consent of the Yang di-Pertuang Agong Sultan Mahmud V.
Excluding the top two posts, Bersatu has three positions, PKR three, DAP four and Amanah three. The prime minister had previously announced that the initial cabinet would comprise key ministries and this would be expanded later.